September is coming to an end and it definitely feels like Autumn. Dylan is back at school and Archie is ready to start full time on Monday. My boots have come out of hibernation (although my sandals are not yet packed away) and I have a blanket on the sofa for when my feet get chilly in the evenings. I don't feel ready to say goodbye to summer yet but the beautiful reds and browns that are covering our walkways are forcing me to embrace everything that comes with October. 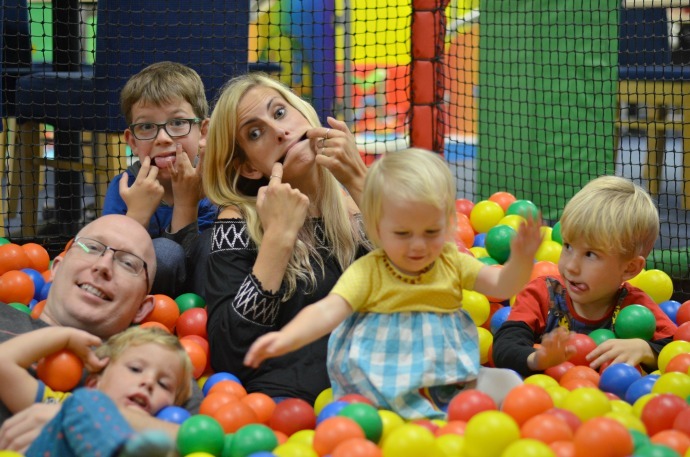 September seemed to pass so quickly, too quickly for us to manage a family picture but there is nothing like last minute and we asked Ed's brother to take one whilst we were at my niece's soft play party this morning to make sure we get one taken! The photos are far from perfect, but then so are we. This month Mummy is loving buying Autumn clothes for the children, doing my daily steps by lunch time thanks to all the extra school runs, getting into our new routine now that we are back to school and the rich colours in the park. Daddy is loving his new desks, settling in to the house more, listening to Archie's singing and watching Black Mirror. Dylan is loving being in year two, seeing his brother in the playground at lunchtime, playing 'pets' with Archie (they pretend all their cuddly toys are their pets) and planning Halloween. 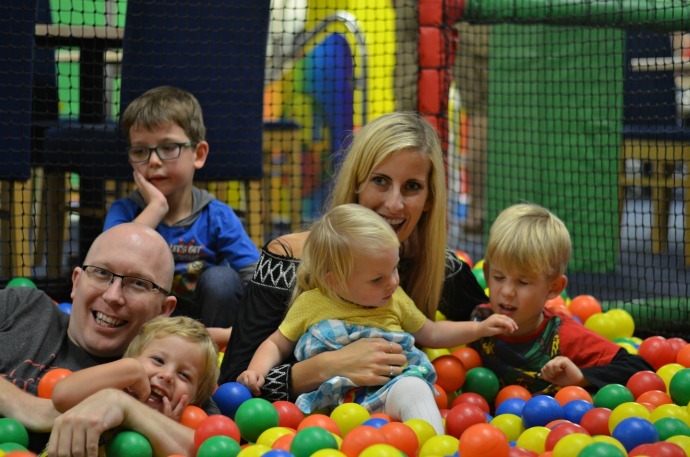 Archie is loving starting school, collecting Autumn things from the park, his taster school lunch session last week and snuggling under blankets on the sofa. Finn is loving his two afternoons a week at nursery, wearing a backpack, watching Dinotrux and playing outside in the rain. Cora is loving shoes (wearing them, carrying them, rearranging them), playing with her wooden bobbins, walking in the park and having naps in her own bed.